A brief history of where we've been. Gro-Bark was started in 1980 by Jim McKague when soilless mixes developed for the green-house industry began to use bark as an ingredient to supplement peat moss use. For the next fifteen years, Jim’s son Bill McKague refined bark product for use in potting mixes and commercial nurseries in Ontario. Simultaneously, a pine bark product for use as a landscape mulch was developed. By the mid-1990s, Gro-Bark was the leading producer of horticultural bark with its CPM® composted pine bark and SPM® shredded pine bark products. Gro-Bark expanded into soil production in a bigger way in the mid 1990s when it began large scale composting of leaf/yard waste and built a custom soil blending plant at Milton. Commercial growers then had the oppourtunity to purchase custom blended soil recipes based on bark, peat, compost and other micro-ingredients such as perlite and fertilizer. 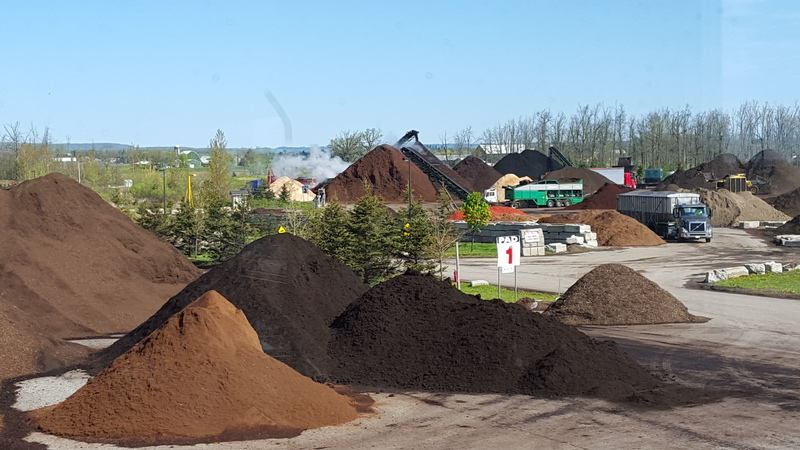 Gro-Bark’s mulch business continued to grow through these years and production sites went from seasonally leased facilities to company owned properties around the province – strategically located to remove, store and process bark products from the by-products of the forestry industry. 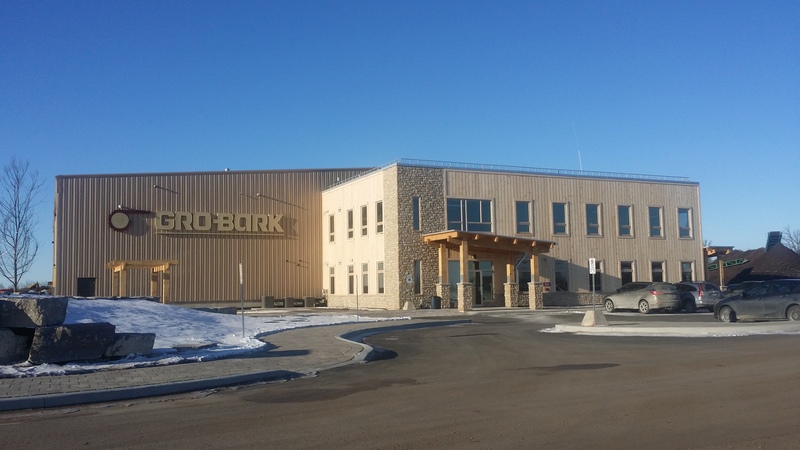 In 2015, Gro-Bark built a world class custom soil blending facility at its flagship Caledon site. Supporting this facility are four additional composting sites, five additional mulch production sites and several aged bark reclamation sites. A large truck fleet links these sites together and to the most important addresses, which are our customers. A glimpse into the Caledon yard. In this photo you can see three grinders/screeners hooked up to stackers with material being processed and trucks being loaded. On December 7, 2017 Gro-Bark® became part of Walker Environmental, a division of Walker Industries. The addition of Gro-Bark® now makes Walker the largest fully integrated organics recovery company in Canada. Read full press release.